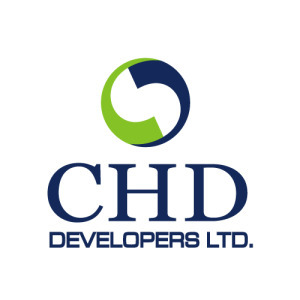 CHD Developers Ltd is an innovation inspired company that aims to develop the best, the freshest, most distinctive and astonishing pieces of real estate to their clientele. Established in the year 1990, the company has been accredited with the ISO 9001:2008 certification and has been striving to consistently exceed the standards expected out of it. CHD Developers are immersed into developments of commercial spaces like restaurants and retail spaces as well as residential projects at various locations in Delhi as well as Haridwar. A customer centric group, CHD Developers has been focused on following practices of transparency, social work, innovation while placing immense importance on team work. Acclaimed for the quality, finesse and spectacular architectural designing, the company aims to expand its business from Delhi-NCR to becoming a pan-India presence. All this has been the vision of their Chairman Mr. R.K. Mittal right from the establishment of the company. CHD Developers are a socially responsible group and believe in serving the society. Therefore the group has been able to start off a highly sensitizing campaign for the awareness of the importance of education and of saving the girl child. These education services were started after the intolerable plight of the construction laborer’s children came to view. Apart from this, the other alarming issue of ‘environmental conservation’ is also looked after and an awareness campaign for the same is also being run at various sites.